Aside from our partners there are many more people that lend us their helping hand every now and then. On one hand it is all about the busy bees that help us everytime there is something to arrange, manage or to settle. On the other hand it is about those busy bees that are not equipped with the means to help us financially or materially, but who are promoting us which eventually leads to donations of all kinds. Last but not least it is about the social circle that helps us out with smaller financial donations every now and then. Therefore the saying from Mother Teresa is certaintly applicable, because the sea would definetly be less if only one drop were missing. 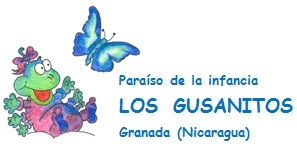 We are appreciating all kinds of support equally, because that way many small parts are becoming the total picture Paraiso de Infancia “LOS GUSANITOS“. A sincere THANK YOU to all of you – friends, benefactors, donors, partners as well as sponsors. Every single one of you is contributing to an improvement of our small oasis in your very own and special way. Due to your solidarity we were able to turn what were once sad eyes into the one or other warm smile.